Below is information about the "BSB World" asylum on InsaneJournal. To join this asylum, click here. You may leave the asylum at any time. 1. You have to be a fan. You can not join if you wish to trash them. That is uncalled for and we will kick you out. 2. bsbworld is Member Only. You must comment to join. 3. 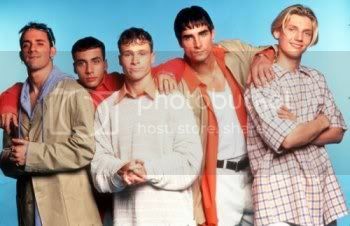 We want you to be able to post your own Backstreet Boys news along side of ours. You don't have to, but it's recommended. 4. Please be respectful. If you don't show respect for eightythree or panicc or any of the members, we have the right to remove you. 5. Use grammar and regular typing skills. Please and thank you! 6. Enjoy being a part of this fandom! Feel free to contact us for any questions. If you want to moderate, contact either one of us. Thanks!